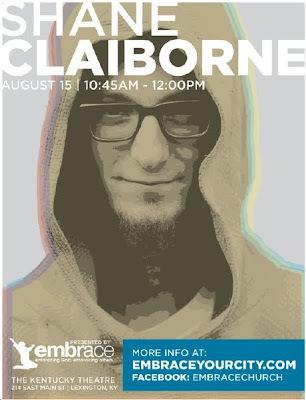 Hey everyone, I just wanted to make a quick announcement about the upcoming event with Shane Claiborne at Embrace Church downtown Lexington, KY. You can see most of the details you need by glancing at the flyer to the left. But if you need any addition details, hit me up and I'll do my best to help you. 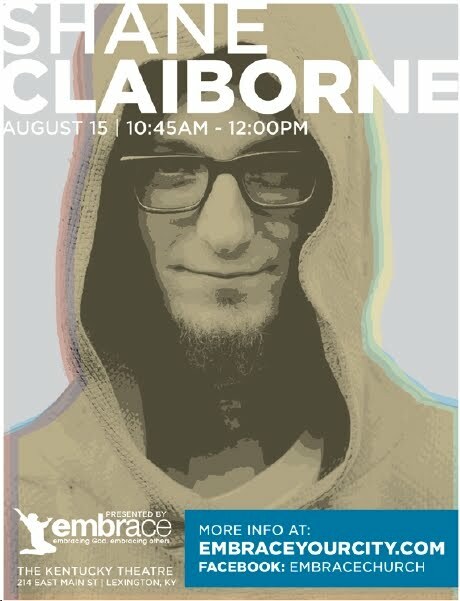 If y'all can make it out to this event, I'm sure you won't regret it. Come here from a brother in Christ who has his finger on the nerve of some very important theological & cultural issues in our world today.